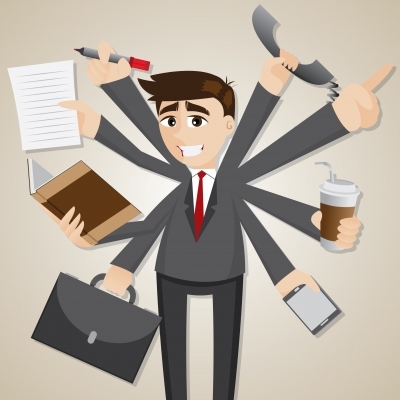 What is your sales rep doing right now? Is he on the phone pursuing a new lead? Is she closing a sale with an established client? Doing online administrative/customer service work? Reading a blog post about what sales reps are doing right now? To put it simply: what is the yield you’re getting from your reps? In previous posts, we’ve talked about the challenges of lead generation and finding great inside sales reps. Today, we want to talk about rep yield: the ways in which your reps are using (or not using) their time productively, and what you can do to help maximize their output. This is a concept that will be expanded upon in future posts. Today, we just want to introduce the idea and start the conversation (after all, your time is of the essence, too). “Rep yield” examines how a sales rep utilizes his or her most important resource: time. A good equation for the process is “yield per rep/per hour”-- the relationship between effort (how many calls?) and effectiveness (are those calls leading to sales?) when it comes to sales productivity. A Pace Productivity study discovered that “selling hours” took up, on average, about 22% of a sales rep’s week, with “administrative activities” like paperwork, filing, internal phone calls and managerial meetings taking up 21% of the week. By comparison, Pace’s “ideal week” for a sale rep indicates that 33% of their time should be taken up with sales, versus 15% for administrative tasks (and 12% for customer service). We believe a structured sales methodology is crucial for improving rep yield. Establishing a clear selling blueprint that everyone in your organization agrees on provides a good base for reps to work from, and cuts down on the uncertainties that varying rep styles might create. Ask yourself: Does everyone understand their role in the organization? Do you have a set of general talking points from which a rep can extemporize? Is your training consistent? Is there a clear loop between sales, marketing, and management (is everyone on the same page?). And how does technology play a role in this process; is it integrated across departments? Sales reps need to buy in on new technology as helpful to their process, rather an intrusion or hindrance to their effectiveness. Monitoring a rep’s selling time, and giving them clear expectations of what benchmarks-- in calls, leads, and sales-- you expect them to hit can get everyone on the same page. Make sure your reps are clear on the expected balance between sales, customer service, and administrative duties. A good company also provides consistent review and feedback of a rep’s performance, letting them know about areas for improvement. While a good sales rep is competitive and internally motivated, a strong and clear quota/incentive program can still help to maximize their potential. Are your quota and incentive programs simple and straightforward? Are they properly scaled towards differently performing sections of your rep team? Is the program clearly tied towards short and long-term sales goals? Your reps need to be up-to-date on products or services, and it’s important that they receive ongoing situational training and regular critiques about performance and new procedures. This can help them learn how to handle resistant customers, or what kind of closing lines work best. Strong communication across the sales team is also an asset. How do the lower-selling reps interact with the stronger, more experienced reps? Is there mentoring or teamwork that happens on a consistent basis? A strong, maximized rep yield comes from a customized combination of strong, motivated sales reps and a supportive, structured company methodology. If there’s teamwork across the board, the equation of efficiency and effectiveness will be beneficial for everyone.